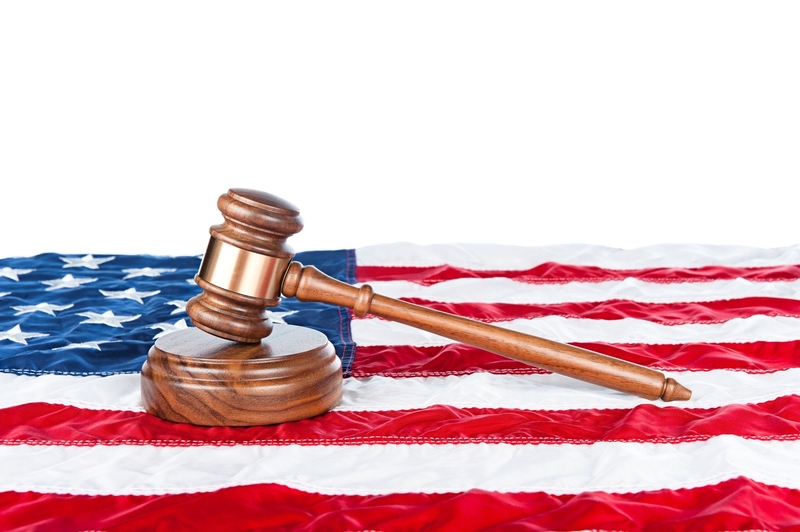 The introduction of individual rights into commerce clause jurisprudence may seem appealing. But it will spark a flood of cases in which politics trumps legal reason. The individual mandate is constitutional if the activity being regulated has a substantial effect on interstate commerce or if it is considered an integral part of a larger regulatory scheme which itself has a substantial effect. Laws against extortion, race discrimination and marijuana possession have thus been upheld. In the last 20 years, however, the Court has invalidated statutes regulating guns in school zones and gender-based violence. These activities were deemed non-commercial and too remote to affect commerce. The lawyers opposing the individual mandate apply these cases using voodoo logic. They contend that the regulated activity is a decision not to buy insurance. It is not commercial, because it is a refusal to enter the stream of commerce, and it is too remote to have a substantial effect. While agreeing that Congress can legislate health care, the opponents maintain that the mandate is not necessary for a larger regulatory scheme. Rather it creates problems by forcing the healthy to subsidize the sick. The government counters that the uninsured engage in commerce by obtaining health care. Their inability to pay has a substantial effect because premiums rise. The problem is resolved through the individual mandate which creates universal coverage. It is also integral to the successful implementation of a larger regulatory scheme as evidenced in Massachusetts. In contrast, seven states that did not implement a mandate experienced skyrocketing premiums, falling coverage and fewer insurers. The Supreme Court is the final arbiter of constitutionality. In oral arguments, Justice Ginsburg disposed of the subsidization problem by quipping, “…that’s how insurance works.” The issue of whether the mandate passes the substantial effects test was superficially discussed. Indeed, the Court normally defers to Congress in such clear cases. To do otherwise would prioritize political conviction over legal precedent. The necessary and proper clause provides Congress with broad authority to choose the means to regulate. In the last 20 years, the Court has rejected two provisions which passed the substantial effects test. Here, the Tenth Amendment’s principle of state sovereignty was violated by commanding states to act. The government rejects these arguments. The aim of commerce clause jurisprudence is to police the boundary between state and federal power in order to preserve individual rights and public accountability. When the federal government regulates people directly, however, there is no threat because it can be voted out. The government supports the following limits to any ruling. A first limit is the substantial effects test itself. Indeed, it is difficult to imagine how forcing people to join an exercise club could pass muster. Any ruling is also restricted by the uniqueness of health care. It would only apply where nearly all are in the market, where the time of usage and costs are uncertain, and where cost-shifting occurs. Fears of unlimited power are further assuaged because states have plenary power to compel, but have never forced people to buy broccoli. Opponents complain that the individual mandate lacks political accountability. Yet surreptitiously inserting undefined notions of individual rights into commerce power jurisprudence smacks of democratic deficit. In the absence of any precedent, it is hard to imagine how these rights would be defined and limited. Throwing out the individual mandate would thus foment a revolution challenging any regulation that limits freedom. As lifetime guardians of our Constitution, the justices should know better. This entry was posted in Law, Opinions and tagged Commerce Clause, Healthcare, Individual mandate, Supreme Court by California Robin. Bookmark the permalink. Interesting article. In your opinion, what are the political implications of the Supreme Court ruling in favor of the Obama administration or alternatively, ruling in favor of those that are against the individual mandate? The signature program of Obama’s first term is the Affordable Care Act, which, of course, contains the individual mandate. Any ruling for or against the Act will galvanize potential voters, political groups and funders to fight even harder for their respective candidate. It may also contribute to an undecided voter’s decision on who to vote for on November 6. If the Court invalidates the mandatory purchase provision, I have no doubt it will one day be seen as the worst commerce clause decision since Lochner. When one steps back and takes a look at the bigger picture, the arguments against the health care plan are part of a larger-scale, ideological assault on the last vestiges of the New Deal. Agreed. Whatever happens, it is worth exploring efforts to increase accountability. Suggestions could include application and enforcement of the judges’ code of conduct, limiting terms of service and live broadcasting of oral arguments. Hi.The seven states are Kentucky, Maine, New Hampshire, New Jersey, New York, Vermont and Washington. You can read what the defenders of the invididual mandate said about them by looking at the the Brief for Petitioners Department of Health and Human Services for case no. 11-398 (http://www.americanbar.org/publications/preview_home/11-398.html). Let me know if you find out anything about Vermont!